Forms come from various sources within the EHS website. 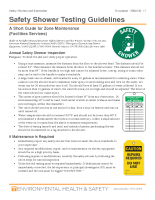 Many exist as appendices of Safety Manual documents. While we will populate this section with a library of forms, please check in the Safety Manual if you cannot find the form you seek. Service Request Form (See Contact Us page for more information). 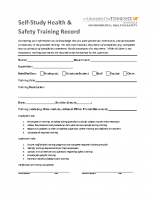 These forms are not required (you may use your own), however they may assist your department in maintaining records of training.